Let's Voltron is the Official Voltron Podcast, bringing you exclusive news on Voltron episodes, merchandise, Events, Interviews and more. We Form Voltron with 5 people to review Voltron Legendary Defender Season 7: Episodes 7 & 8: The Last Stand, Parts 1 & 2; AJ LoCascio (voice of Lotor and Griffin), K-Lionheart, Shannon Muir, and your hosts Marc and Greg. There are lots of laughs, solid episode breakdowns, and at the end, Marc and Greg reveal the super secret videos that Voltron fans around the world helped make for the Cast and Crew of Voltron Legendary Defender, which are both available now on our YouTube Channel! AJ LoCascio, who plays Prince-turned-Emperor Lotor and James Griffin, among other incidental characters in Voltron Legendary Defender, joins us for this 2-part episode review of The Last Stand, Parts 1 & 2, from Season 7. If you don't know already, AJ also has his own Etsy store, where he sells his own little creations, known as Spoops. He sells them in batches & announces when they are released on his Twitter & Instagram. K-Lionheart also joins us on this podcast and gives us a very thorough breakdown of these 2 episodes from Season 7 and we are thankful to have her helping us with our 5th Anniversary Show, coming in December. K-Lionheart is the artist who designed "Dungeons and Voltron", which was recently retired on our Let's Voltron TeePublic store. However, this design is available FOREVER on K-Lionheart's Red Bubble Store. Shannon Muir also joins us on this podcast, and her ability to bring together all the previous incarnations of Voltron into her review of these 2 episodes really brings a perspective that no one else can but Shannon. Shannon is appearing as a panelist for a Voltron panel at LOSCON at the Marriot Los Angeles Airport Hotel on Saturday, November 24, 2018 at 9 PM. With VOLTRON: LEGENDARY DEFENDER coming to a close, this panel discusses VOLTRON's influence from the 1984 DEFENDER OF THE UNIVERSE through VOLTRON: THE THIRD DIMENSION and VOLTRON FORCE until now and the impact this iconic robot has made. This fan-focused discussion is moderated by well-known longtime fan Shannon Muir, along with her co-moderator Laurie Tom. Marc and Greg are happy to reveal the super secret videos that hundreds of Voltron Fans around the world helped make. After SDCC, we asked people to send us short 10-15 second video clips, thanking the staff of Voltron Legendary Defender for this wonderful show on Netflix and for all the hard work that went into it. 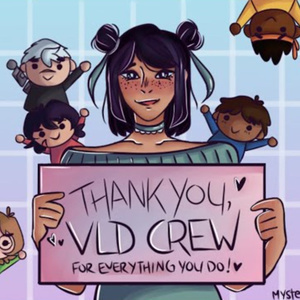 We wanted the staff to know this is an extremely small sample of all the Voltron Fans around the world that love them all for making this amazing show that has brought a worldwide audience together in more ways than they'll ever know. There are 2 videos we posted on our YouTube channel, which were already shared with the whole staff and crew at DreamWorks Animation, Universal, Studio Mir, Atlas Oceanic Sound, World Events Productions, and everyone involved in the making of Voltron Legendary Defender. Now, we are ready to share this with all the people who helped create the video with their own personal video clips. Thank you to all of you who shared your love for Voltron and all the people responsible for making Voltron Legendary Defender. The first video is a music video that includes clips of the actual show, fans at conventions, personal fan clips, and more, timed to the music. The second video is a total compilation of all the videos that were submitted by all the Voltron fans around the world. There is no better way to end this podcast notes page than to thank you all for listening to this podcast, and for being awesome Voltron Fans! We can't say enough how much we appreciate each and every one of you!